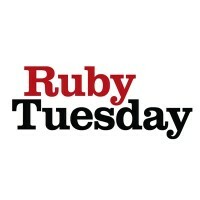 Ruby Tuesday is a restaurant chain that offers a casual dining experience. They specialize in American cuisine and is well-known for their all-natural chicken, pasta, steak, seafood, hamburgers, and salad bars. Sandy Beall opened the first Ruby Tuesday restaurant in 1972 using the money he received from his friend and four fraternity brothers. The franchise was named after the famous song “Ruby Tuesday” by the Rolling Stones. The franchise has now over 600 stores operating in over 40 states in the U.S and 13 foreign countries. As of 2015, the restaurant has over 32,000 employees. Some benefits of working with the company are flexible working hours, discounted meals, health and life insurance, 401K retirement plan, paid leave, and paid vacation days. The franchise offers its workers a stable work environment. Employees value teamwork, and although they are expected to work along with the fast-paced operations, they do not forget to smile and have fun with their work. How old do you have to be to work at Ruby Tuesday? The company set few requirements which make applying convenient for younger workers. They hire applicants over 16 years old for entry-level positions, however, this may vary according to the location of the stores. The restaurant chain offers jobs for store management, distribution, and corporate management. They offer entry-level positions such as restaurant staff, kitchen staff, supervising officials and technical staff. Lower and higher managerial positions are also available for store and corporate management. Server: Servers are primarily tasked with serving food and beverages to the customers and providing excellent customer service. Primary tasks include coming to work in the appropriate uniform, greeting customers, guiding customers through the menu, taking and inputting the orders, and handling the payment transactions. Server Assistant: The Server Assistant is primarily tasked with providing excellent customer service, seating the guests, and managing the Table Management System (TMS). Their responsibilities include ensuring the cleanliness and organization of the entrance, utilizing the TMS in seating guests, managing the reservations and waiting customers, overseeing the empty and uncleaned tables, and assisting customers with their requests. Bartender: The Bartender is responsible for manning the bar and preparing alcoholic and non-alcoholic beverages to the customers. Primary duties include assisting customers dining in the bar area, guiding the customers through the menu, taking and inputting the orders accurately, handling the payment transactions, and stocking all liquors, wines, glassware, and other bar supplies. Cook: The Cook is responsible for preparing food orders promptly and correctly. Primary tasks include measuring and portioning bulk ingredients, cooking food according to menu specifications, utilizing the Kitchen Display System to keep the kitchen operations smooth, maintaining a clean cooking station, and complying with food safety standards. Dish Machine Operator: The Dish Machine Operator is primarily responsible for ensuring the sanitation and cleanliness of all utensils, kitchenware, tableware, and glassware manually and by using cleaning equipment. Duties include washing, sorting all kitchen and tableware and returning them to their proper storage area, assisting the Garden Bar area, handling the disposal of waste, and maintaining the overall cleanliness of the store. Garden Bar Specialist: A Garden Bar Specialist is primarily responsible for managing and hosting the Garden Bar. Duties include keeping the Garden Bar clean and well-stocked, conducting a food inspection every shift to ensure the quality of the food, serving and assisting the guests, answering questions about the menu, complying with food safety standards, and maintaining the cleanliness and sanitation of the area. Garden Bar Utility: A Garden Bar Utility is primarily responsible for providing service and preparing food items for the Garden Bar. Tasks include providing assistance in stocking the Garden Bar, maintaining the cleanliness of the store, preparing the ingredients for cooking, maintaining the walk-in refrigerator and dry storage areas, complying with sanitation procedures, and handling the waste disposal. Expo: An Expo is primarily responsible for overseeing the preparation of the food in compliance with the restaurant’s recipes and standards. Task include ensuring the promptness of food service in the dining area, bar, and the delivery service, managing the re-cooking and special orders, and maintaining the cleanliness and organization of the work stations and dining area. Manager: A Manager is primarily responsible for overseeing the daily management of the restaurant. Duties include guiding and training team members, managing the store’s expenses and budget, handling customer’s complaints and feedback, ensuring that the equipment is in good condition, managing the deliveries and inventory, and complying with standard safety and sanitation procedures. General Manager: A General Manager supervises the managers and team members. The General Manager is responsible for training and leading the team, developing strategies to maximize sales and profit, adhering to company policies and state/federal laws for labor management, processing the payroll, creating the store’s daily schedule, and complying with standard safety and sanitation procedures. To apply at Ruby Tuesday, you may visit any of their stores to get and submit an application form. You may also apply online by browsing through the available positions and applying for the job of your choice. Both online and in-store applications are allowed. Online applications are accessible in the Careers page in their official website. You may browse through available positions in different store locations and apply instantly. When applying in person in any one of the Ruby Tuesday branches, bring your resume and ask for an application form. Fill out the form completely and accurately. Maintain a professional attitude and appearance. When submitting your resume, ensure that it is organized and contains only the relevant information, particularly to the job you are applying for. Include also relevant trainings and certifications that you may have. Ruby Tuesday promotes a culture that centers on excellent customer service and teamwork. The management ensures topnotch quality products and services and provides a family-friendly atmosphere in the restaurant. From 2006 to 2009, the franchise sponsored the racing team, Ruby Tuesday Championship Racing Team. They sponsored professional driver Brad Keselowski starting from the 2012 NASCAR Nationwide series to the 2011 NASCAR Sprint Cup series. The restaurant is known for their menu which offers a variety of staple American cuisine. They are well-known for their salad bar and wine and liquor bar. They are the first restaurant to post specific nutritional information on their menu. The company maintains their policy on sustainable sourcing, ensuring that their suppliers comply with sustainable manufacturing practices, responsible animal care, and fair labor practices. Their Animal welfare policy ensures that the process of procuring ingredients from animals is cruelty-free. 1 How old do you have to be to work at Ruby Tuesday?